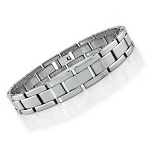 A bold two tone look enlivens this designer tungsten bracelet. A black ion plated (IP) center runs through brushed finish links. 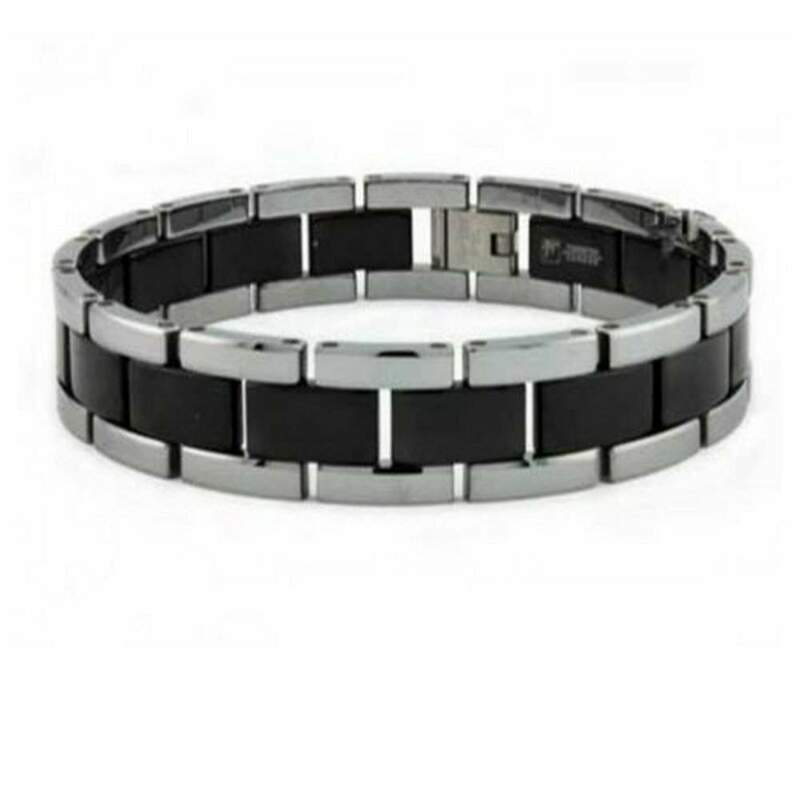 This men's tungsten bracelet measures 12mm wide by 8.25 inches long and is completed with a modern fold-over clasp.